The firm has the name of its founder, Dr. Paulo Cosenza, it was built in 2013. Acting closely with the client, the firm offers crafted lawyer services. The service is personalized, adding high value, quality for the service offered and superior service compared with the whole marketplace. 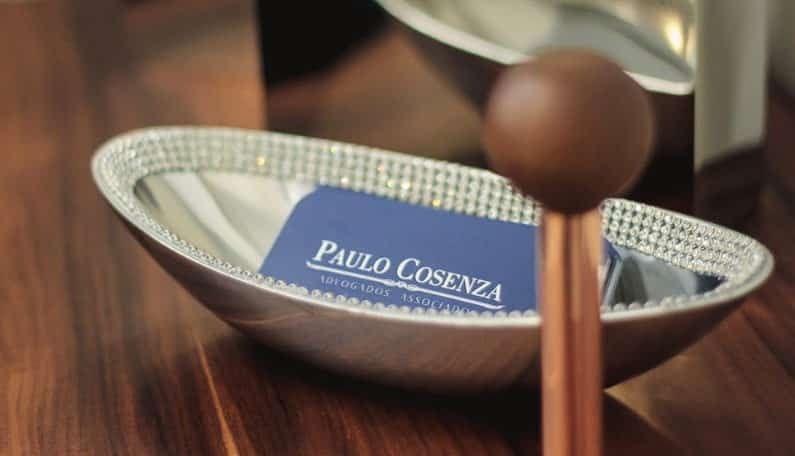 The strategy of legal inbound marketing offered by React for Paulo Coenza’s firm, had as its goal rank its business as authority in the constitutional matter. How to make the a law office marketing go beyond the business card? The main challenge was to increase visibility for make it easy to have contact with clients for a better relationship. By being a judge throughout his career, Dr. Paulo Cosenza got lots of credibility; however, was reminded as a judge, not as lawyer. Besides, his old website showed SEO ranking problems, making it not findable by online search engines. Although his background, he didn’t published any content in his area. The fist step was to create a new website with all the demands for today’s design and usability. The website brings the office atmosphere to the screen by using pictures taken with a partner and coordinated by our agency. With call to action points the conversion can be done through forms or by phone. The website is shifted for content creation focused on the blog. After the release of the website, we started to work with marketing, focusing in content. With the knowledge coming from the own client, our main effort was to extract the office’s information and digest them so clients could feel closer. In other words, we were able to write to the end customer, escaping from the law-ish vocabulary. Another step of the legal inbound marketing that deserves a spotlight is the Search Engine Optimization (SEO). The website was optimized for local search, enabling it to be found when someone locally searches for a lawyer, also in a national search. The blog was used to solve common questions on Google’s searches. Lastly, we used a marketing automation software, RD Station, to organize the management of the Contacts Funnel. The office receive new contacts by forms or phone. The graphs below show the growth of organic access and the position on the Google search page after the improvements made by React.